Widewalls had an honor to conduct an interview with Alaniz – Argentinian born and Berlin-based artist who is known for his amazing murals and pieces that he creates on the streets of the capital city of Germany. Alaniz has been living in Berlin for four years, and he has become one of the most influential street artists of this amazing city. As all urban art lovers know, Berlin is one the centers of the global street art movement, and there are number of reasons why this city attract and inspire so many great urban artists (some of these reasons you will see in the Alaniz interview). Alaniz’ art is inspired by the people and the atmosphere of the community in which he lives and creates (don’t forget to check out our Berlin art travel special). As the artist himself says, he would prefer to see his artwork as a dialogue between the artist and the public. As a dialogue, street art can create a public space where all the societies’ imperfections can be addressed, and where the voice of those who are marginalized or subjugated may be heard. 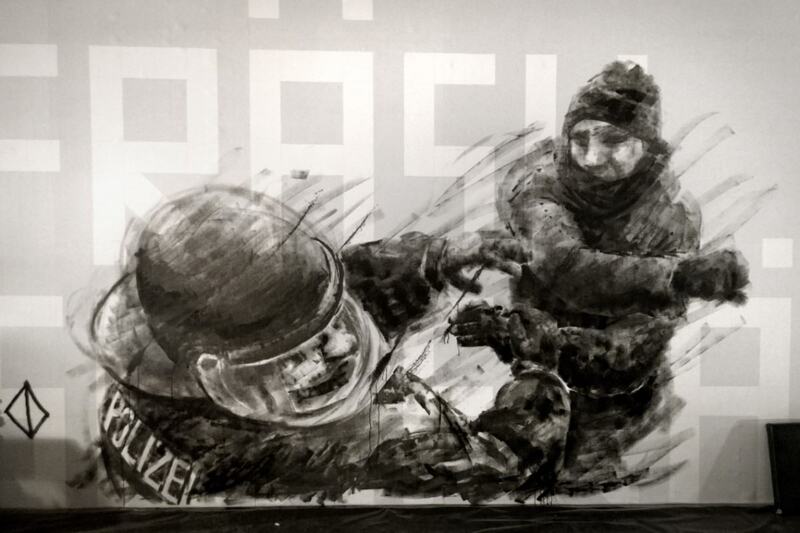 What does it mean the “illegality” of street art practice? What is illegal in creating artwork that whole communities can benefit from? In the interview with Alaniz, we also spoke about contemporary Berlin urban art scene, about the freedom of artistic expression, and also about the status of the street art movement within contemporary art scene (check out our latest street update). Finally, Alaniz is among few Berlin street artists that still creates “illegally” masterpieces. How does it function? The answers on these questions you can read in Alaniz interview for Widewalls. And, as we are expecting the Alaniz’ exhibition at Open Walls Gallery (opening on September 10, 2015), we can prepare ourselves for the artist’s show reading the interview that we conducted with this amazing artist. Widewalls: Many people say you are one of the very few Berlin-based street artists that create illegally? Do you believe your practice is illegal; that your art is illegal? What does “legality” even mean to you? Alaniz: I don’t see myself as someone that does something illegal. We live in a world that´s quite ruled by a language built up with words, but the more complex the world gets, less easy is to describe it, and we ended up mixing terms, simplifying, generalizing. My art interventions are mostly developed on walls that suffer of lack of maintenance, cracked or even unpainted. In fact people thank me for what I do, there are even buildings owners that renovated their front walls without covering my interventions. How could that be illegal? If you travel, you will find out that what is illegal here, in some other countries is not. In Spain you can’t drink a beer in the streets or in the metro, meanwhile in Germany you will find people drinking even in the waiting room for the doctor. We live in a very hypocrite world, but this doesn’t mean that we all should be like that. Is an art intervention illegal? I don’t think so. 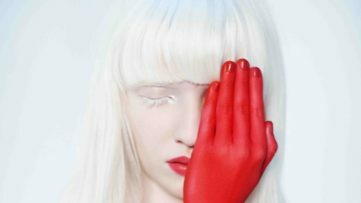 Widewalls: Do you find your art politically and socially engaged? Do you believe it contributes to local community and urban aesthetics? 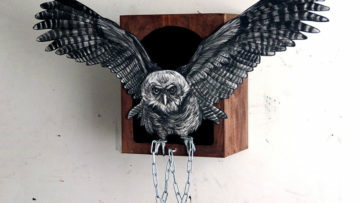 Alaniz: My art is directly engaged to my believes and thoughts. But, I don’t follow any political party or special organization, in fact, I don’t believe that any politic could solve people´s problems. I don’t even preach for vote. But I do believe that every person can make a difference, that instead of waiting for the solution to come from the outside we should search for it in the inside, in ourselves, be just and you will receive justice. The change starts with us. Call it political or social I just try to be aware of our problems as human beings, sometimes those can be related to a particular situation that involves a “political” statement. For example: protest,. We have two different meanings for the word “repression”, but if you see our society as one individual, if you think it as the mind of one person, those meanings get dangerously too close. We have seen how negative repression can be in someone’s mind, it can’t get any better in our society. So instead of avoiding a problem, analyze it; that’s a good start for a change. My art is a bit more like that, an analysis to ourselves as human beings. And of course it contributes to the community, any intervention is positive for the environment, we have to talk, we have to discuss, we won’t find any solution without an argument. Widewalls: You live and create in Berlin. 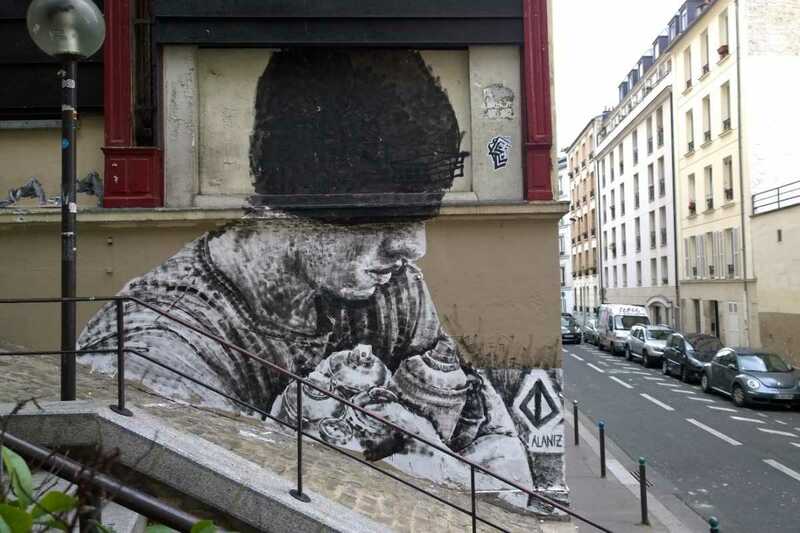 This city is usually perceived as one of the global centers of street and urban art. What is so “magical” about Berlin that attracts so many artists from all over the world? Why Berlin is so interesting for artists at all? Alaniz: You can call it magic, I would call it social phenomena. Berlin is the capital of one most important countries in the world, but at the same time is one of the poorest towns in Germany, the living cost is quite low, especially if you compare it with other capitals of Europe. Cheap rent for big flats, affordable night life, and a long history of mixed flags occupying the city, I see it as the perfect recipe for a multicultural playground for artists. Widewalls: Berlin is a city with quite rich history. Let us just mention the Cold War, the Berlin Wall, German Reunification… How much political and social developments in the capital city of Germany influence street and urban art? Alaniz: I have been around here since 4 years now, when I arrived everything have already started, I dont feel I have the right to speak about this matter. But I guess that the easiest fact to remark is the outbounded freedom that the city have, directly related with the lack of a defined identity after the reunification. That freedom was the key for the development of everything in Berlin. To find yourself you have to first free yourself from old parameters. 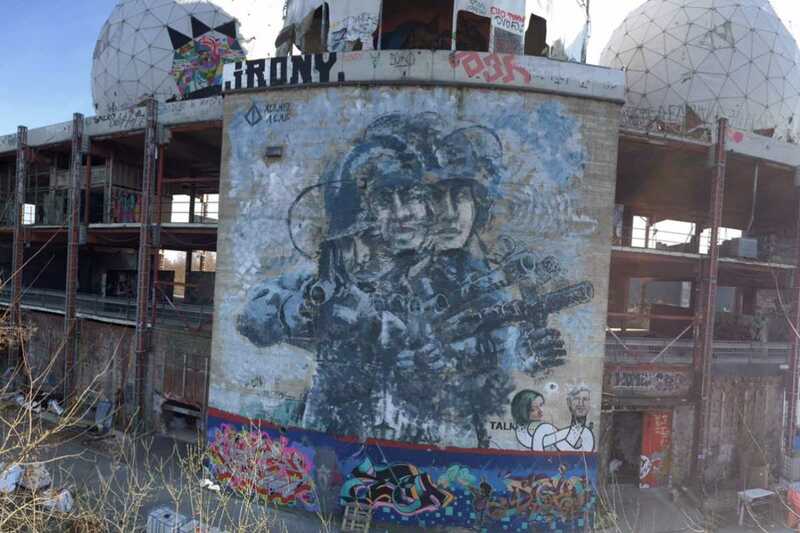 Widewalls: Some people believe Berlin has changed a lot in the last couple of years (i.e. gentrification). 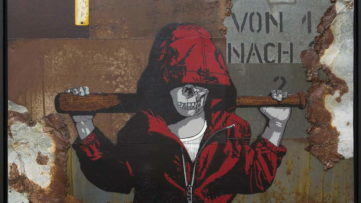 There have been reports about decreased level of artistic freedom when it comes to graffiti and street art in general. Do these changes have any kind of impact on your work? Alaniz: Same as before, I can just talk about the time I lived here, and even though I have witnessed those changes, they never affected my work. If you really want to take the streets you will always find a way, another good example of that are the Berlin Kidz. Widewalls: You were born in Argentina. 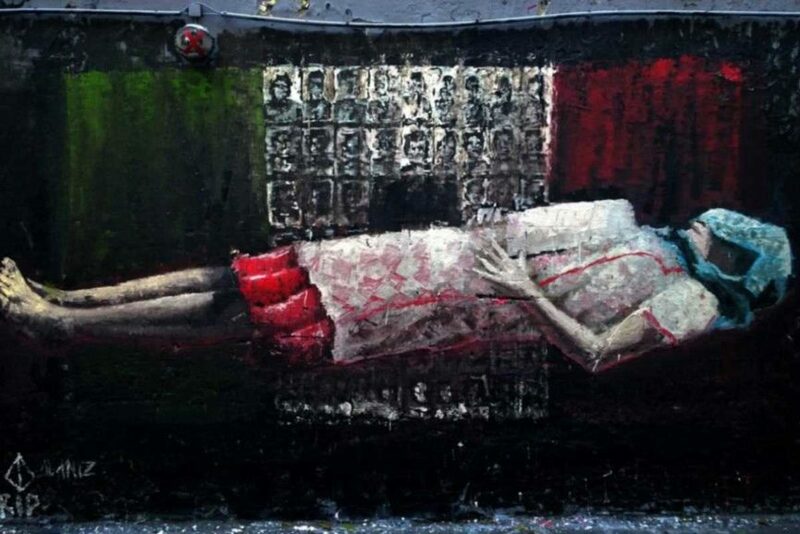 Here, on Widewalls, we wrote a lot about developments within Latin American street art scene. For example, Buenos Aires has quite vibrant urban art scene. Are you engaged (in any way) with urban art developments in Argentina or Latin America? Alaniz: Unfortunately, I haven’t painted that much in Argentina. I wish I could be more in contact with the Urban Art scene in Latin America, I guess that my quota for the urban art development in some countries of Latin America is not more that my street interventions there. 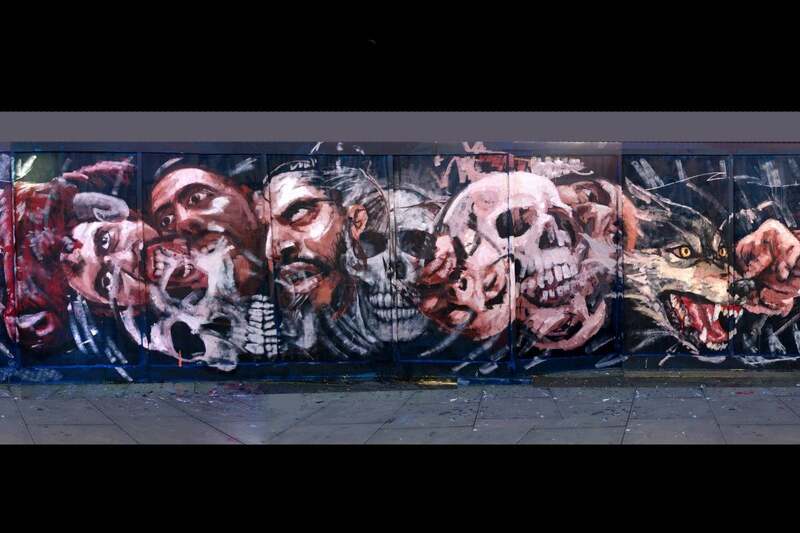 Still, I’m part of the APC crew, a group of urban painters from different countries of Latin America. Widewalls: How does it feel to create “illegally”? Do you find it more comfortable than working in a studio, or creating legally? Is it challenging? Alaniz: Well, due to the fact that I don’t feel my work as something illegal, I don’t feel so much of a difference between the studio and the streets. I take everything I do, no matter where or how I do it, as a creation, as an art piece. Of course, there are obvious differences, like the time you spend in piece that you created in the studio and one in the street. It takes me two hours to finished a huge building and 2 days for a canvas. Widewalls: What is your opinion on the recent developments within street and urban art movement? Do you believe it has become more commercialized? Does art market damage street and urban art potentials? Alaniz: Oh well, the movement is young and in constant change. I think that street art is for the classical painting what rock and roll was for the music. In the beginning the rock and roll was only commercial but with the time you got independent artists, people that created without the search for the masses. Nobody can tell you what to paint or how to do it, or even if you want to make a living out of it. Widewalls: Finally, can you tell us something about your latest projects? What are your plans for the near future? Alaniz: In the last year I have been travelling, visiting many cities, out of my own initiative. I can’t paint humans if I don’t meet them first. I paint where I go and I collect the stories of what I live, of the people I see, thats the best material you can get The 10 of september Im having my first solo show at the Open Walls gallery in Berlin. I will do a few more actions in Berlin. After that, I will continue travelling and painting. What else can I do? Sign up for My Widewalls for free, and be informed about latest developments in contemporary art! All images courtesy of Alaniz.